This catalogue accompanies a group exhibition with Njideka Akunyili Crosby, Meleko Mokgosi, Wangechi Mutu and Paul Mpagi Sepuya, and features an essay by Teju Cole. Brooklyn, as Kings County is more commonly known, is a place of immigrants, its demographics ever shifting. Because everybody who lives there is, in some way, from somewhere else, it has been a theatre of imagination and invention, and Brooklyn as an idea, or a metaphor, has been as important in this process as its physical characteristics. Perhaps as a result, it has attracted an urban creative community of a nature and scale not seen elsewhere in New York - a community that, in turn, has affected the idea of Brooklyn in real and imaginary ways. The term 'Kings County' is unfamiliar to many outside New York, and its archaic, colonial associations suggest an imaginary place. The artists in this exhibition are all, in different ways, invested in this imaginary place, and use the idea of Brooklyn as a backdrop to the making of their art. Nigerian writer Teju Cole describes Brooklyn, specifically its Fort Greene section, as the only place on the planet where he does not stand out. Moreover, he says that the friendships he has forged in the borough have allowed him to imagine an Africa unburdened by the artificial borders imposed by the Berlin Conference. For Wangechi Mutu Brooklyn was a place to live while getting an education in Manhattan, and now it has become her second home. Meleko Mokgosi was specifically drawn to Sunset Park and its history of manufacturing, as well as its large South American population. Curiously, the other two artists have left the neighbourhood since the exhibition was conceived. Paul Mpagi Sepuya and Njideka Akunyili Crosby both moved to Los Angeles this year, but often reflect the timbre of Brooklyn social life in their work. On one level, Kings County is about four immigrants (from Botswana, Kenya, Nigeria and California) in a place of many immigrants. 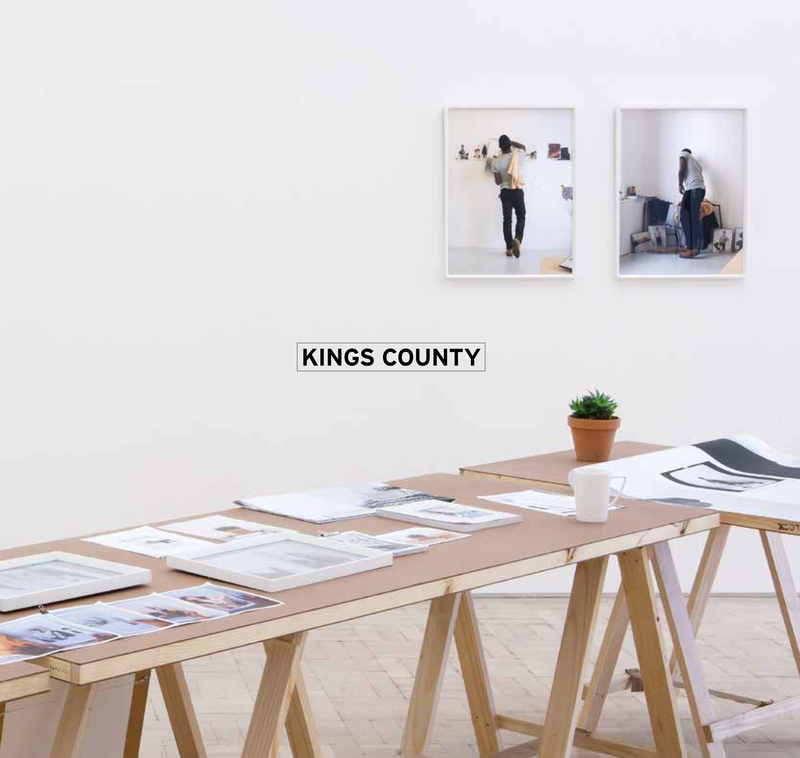 More fundamentally, however, Kings County is about the symbolic potential of geographic locations - about how imaginary places can affect the real world, and vice versa.